Acts just like your email client. Simple and friendly client interaction. No ticket number, no pendingstatus. 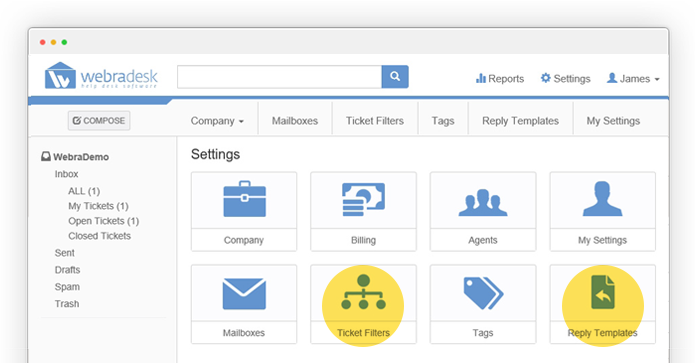 Assign tickets, set priorities and leave notes. Create and organize standard replies. 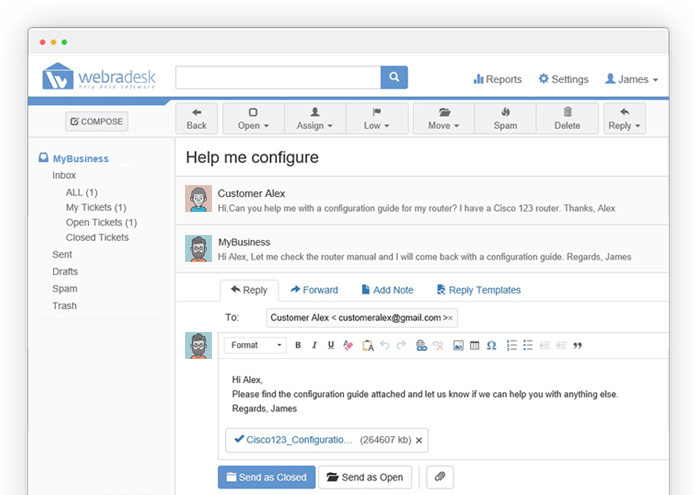 Webradesk helps your team deliver better and faster customer support. Create and organize templates for common replies. Insert and adjust the common replies in your conversations with customers. Filter messages in order to keep your inbox focused on what's important. Merge identical requests from the same customer into a single ticket to avoid multiple answers. Related tickets are grouped in two separate lists. Other tickets from the same customer and other similarly tagged tickets. Review and underestand agent and mailbox activities at-a-glance. View charts with most important customer support metrics. Define and measure what matters for your brand.